Blogger Profile: Kris Chislett will Blog Your Wine! Kris Chislett tries to represent “regular people” when writing about wine on his blog, Blog Your Wine. Originally from England, Kris now lives in Florida where he tries to connect consumers and wineries with social media. Armed with his Certified Sommeliers (Court of Master Sommeliers) flag as well as a Certified Specialist of Wine (Society of Wine Educators) badge, he blogs about wine in an unpretentious, user-friendly, fun, interactive way. He first started pursuing wine while in college studying Hospitality Business Management. Observing every aspect of the Hospitality Industry that you can imagine, including a memorable stint at McD’s for a few weeks, Kris is somewhat shocked how little people actually understand about wine. In 5 years of school for Hospitality Management, he had just over two hours of time devoted tot he subject. That is pretty surprising when you think about how much the bar manager has to do with the hospitality industry in general. As he started learning more about the subject, he discovered that often times self-declared “wine snobs” are always the people that know the least amount about wine. This still hold true to a certain extent, and Kris reads many wine magazines and a lot of wine blogs. Building his blog on the premise that most people who read these magazines do not have a lot of knowledge about wine, he tries to keep his site simple, informative and educational. Kris has never attended any type of wine blogger event, and we are looking forward to interacting with him in Charlottesville! Please give him a shout out on TWITTER and check out the blog. It’s pretty cool! Joe Herrig is The Suburban Wino blogging to y’all from the Peachtree State, just outside of Atlanta. Joe is one of those rare specimens, that Atlanta blogger! In the company of greatness included Hardy Wallace of Dirty South Wine and Ed Thralls of Wine Tonite, Joe brings us food and wine adventures sure to tickle even the ficklest palate. Blogging since 2008, he has earned his CSW credential after much research many tasting and events. Like most wine bloggers, Joe toils away his days at a regular job, but spends his free time tasting, tweeting, and writing. With a Journalism degree, it’s a perfect combination! Joe is a veteran WBC attendee and we are looking forward to seeing him in Virginia. Give Joe a shout out on TWITTER and stop by his blog to check it out! You can also bug him on Facebook HERE, since I know he’d appreciate that. 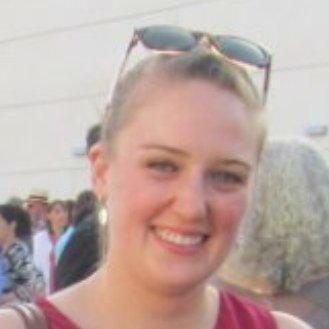 Donor Profile: The Dallas Wine Chick, Melanie Ofenloch! Melanie Ofenloch is the Dallas Wine Chick! Her philosophy is great, and pretty much sums it up: no wine snobs allowed. In her real life day job, Melanie is a PR and Marketing professional, but her passion is drinking wine. She’s a great resource, and a lot of fun and we thank her for her support! Melanie is more than your average Josephine wine drinker, but she is modest about her wine drinking skills. She’s not a sommelier, winery owner, wine marketer or wine expert (who says?) 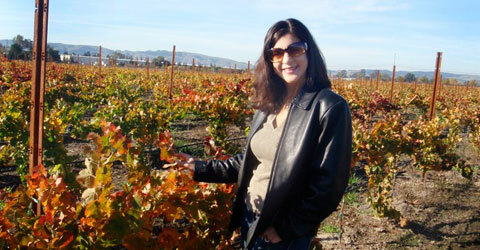 but she is very knowledgeable and share that on her blog, Dallas Wine Chick. She loves to discover new wines and share, and supports other bloggers in doing this. Melanie will be with us in Virginia, and we thank her for her support of the WBC Scholarship! Please give her a shout out when you see her in Charlottesville and stop by her blog and ping her on twitter! Join wine bloggers, new media innovators, and wine industry leaders on June 25-27 as they converge on Walla Walla, Washington for the 2010 North American Wine Bloggers Conference – the premier conference for new media and the wine industry. This three day symposium builds on our past successes and brings you a unique opportunity to learn about and discuss the intersection of wine with the world of new media including blogging, social media, and more. For the first time this year, the WBC is actively pursing Foodies and Food Bloggers to take part in the conference;wouldn’t it be great to have food bloggers at the ready to help us write about pairing the delicious washington treats we are going to have? But beware! As of February 3rd, the number of registered participants has surpassed the total number of participants who attended the conference in the past. This is amazing news, and it means that the secret is out! The Wine Bloggers Conference has exploded in its 3rd year, and the buzz is going viral. There are more people who want to attend than the WBC can accommodate, so if you want to go, please be sure to register early. Space is going fast, and the host hotel only has 100 rooms for us. The slow pokes will be stuck down the street and we all know what happens after hours at the WBC hotel. As we are getting busier and busier, the Scholarship is starting to fall behind demand. As of today, we have 7 applications, and I fully expect to have a flurry closer to the May 7th deadline. Many of you have been generous in your donations, both as private citizens and corporate donors. We thank you for your support! For the rest of you, if you are a blogger or you value social media, won’t you consider giving up that extra cup of blue Bottle coffee, and donate today?